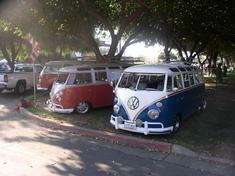 Sunny skies and tree-shaded lawns greeted the 500+ enthusiasts and 164 Volkswagens of all years, models and descriptions that attended the inaugural California Cruise-In on September 27, 2009. The swap area was bustling all day long. 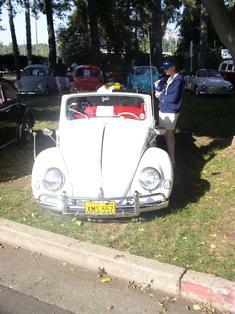 and the raffle was nothing short of amazing thanks to the generous sponsors who made it happen: Lavere's VW Restoration, Vintage Warehouse, Wolfgang International, Honest Engine Midtown, Bus Boys, Greg's VW Service, Wolfsburg West and Niello Volkswagen. 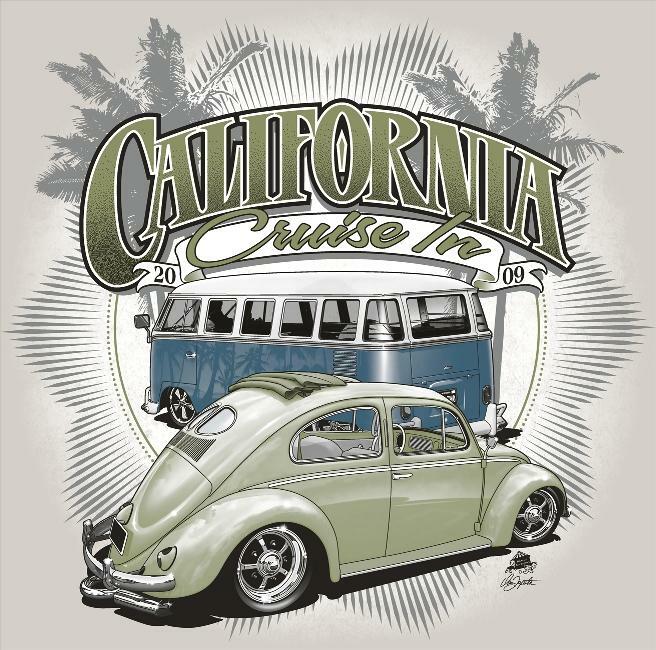 The next California Cruise-In is scheduled for Sunday May 9, 2010. 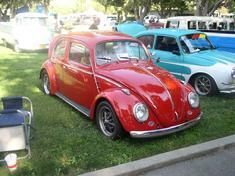 Larry Risley won the Best Engine with his 65 Beetle. 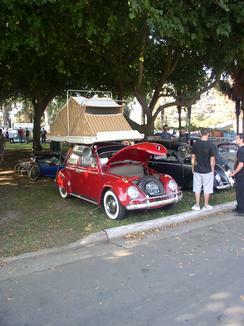 Ellen Miller's 64 Beetle won the Best Display Award with her camping setup. 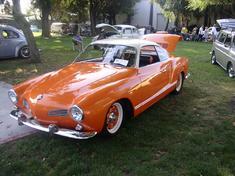 John West took home the Best Ghia Award for his clean orange 63. 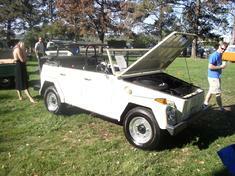 This great looking Type 181 Thing attracted lots of attention. 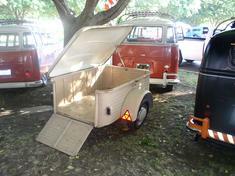 The quality of vehicles on hand was excellent. 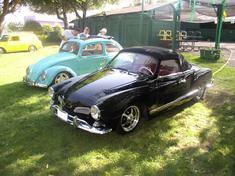 Check out this clean Beetle Sunroof and Ghia Convertible! 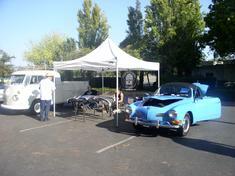 Lavere's displayed their great-looking stainless steel Ghia bumpers and restored Double Cab. 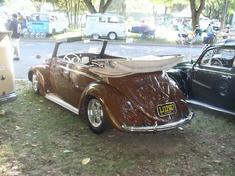 Ray Aguilar's 56 Convertible won the Best Interior Award. 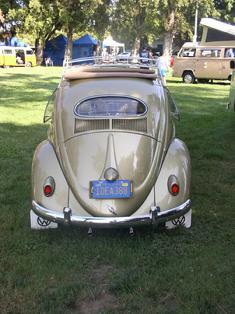 Check out this beautiful oval window sunroof! 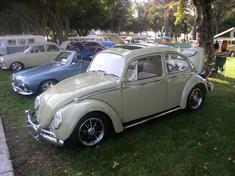 Tony's 51 Convertible won the Best Beetle Award. 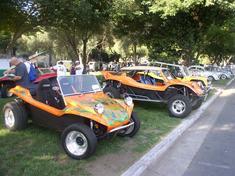 Impressive lineup of Buggies from all over Northern California. 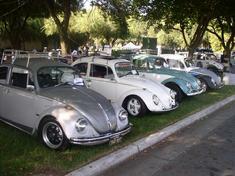 NAG (NorCal Aircooled Group) made an impressive showing. 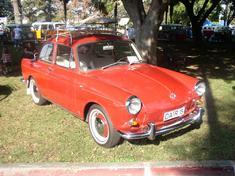 Type III Class winning Squareback belongs to John Caprasecca. 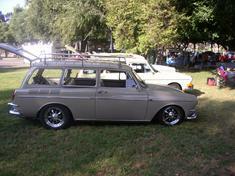 Eric's clean 62 Notchback took home the VIntage/Restored Award. 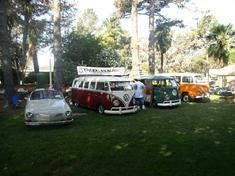 The Niello Crew brought out some great Deluxes, including JP's 66 and Todd's 15 and 23 Windows.